A 5am meet in the lobby was set, with all of us groaning about the early rise. I was up at 3.30am. One of my best friends was still in the throes of 20 plus hour labour of her first child, so I was constantly waking to check my phone for updates. When the snapchat came through at 3.23am of baby Blake, I was so overjoyed there was no way I was going to slip back to sleep. So what did I do? Sun salutations of course! And a rapid repack (didn’t trust drunken Pop’s attempts, although I must say she did a bloody good job). The five of us Everest Expendables mustered at the meeting point, frissons of excitement and trepidation for the trek zipping and zapping around. Our bonding beers last night meant we are pretty comfortable in each others’ company, so quick quips were bulleting between us. Our taxi finally arrived and we hurtled with haste to the airport. 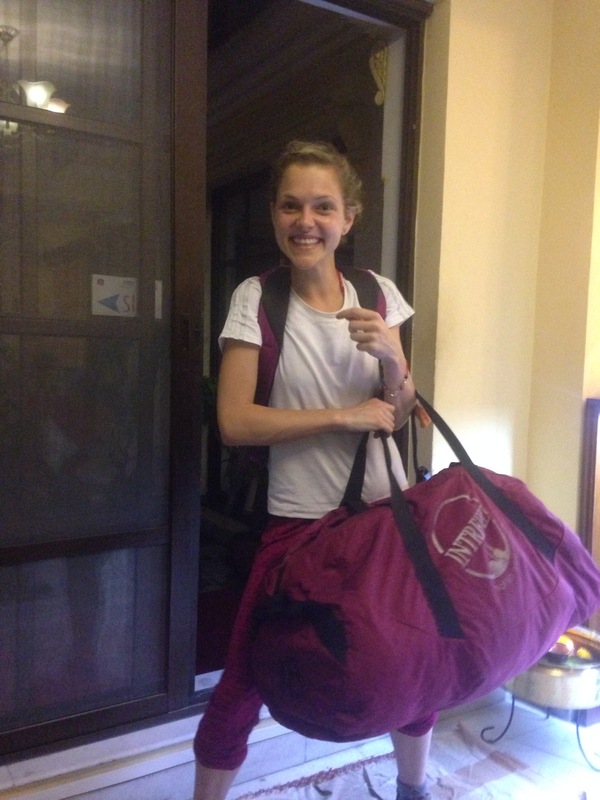 The flight to Lukla only allows 15kg per person; five carry on, 10 check in. We’d each been given an Intrepid bag last night which the porter would be carrying, so were all a touch tense on weigh in. Fortunately all were more or less on par and we went through for screening and a quick frisk (so much lady love at all these airports for females). The anticipation and animation of all waiting at the gate was insane. Everyone was donned in trekking boots (minus Josh; he’s rocking some runners, a big joke on the go already about wet feet and blisters) and geared-up grins. Maps were being poured over, sustenance snacks were being loaded up on and diaries were being drawn in. 6.20am came and went. But the plane with us on it? It did not. 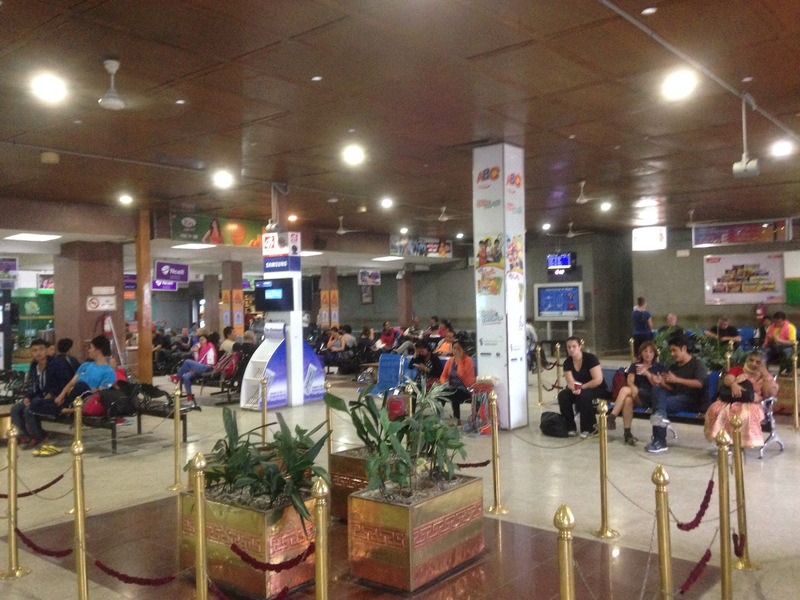 Rain in Lukla rendered the plane grounded, meaning a long wait ahead for all at the airport as we wait for the cascading clouds to clear. Currently bench bound and getting restless. In such a state, the worst thing I can possibly do would be to have milk, sugar or caffeine, three of my “absolutely no-go”‘s. The resounding guilt and wired repercussions just wouldn’t be worth it. So when one of the boys bought me a masala chai? Why, I sipped it slowly with if not avidity, then appreciation. There’s only room for one ED around here, and that’s Hilary.